Does anyone see the difference in the two besides the size? I'm just trying to compare the two stations and how they're alike. Lemme know what you think! I dont understand what you're asking? These systems are very similar in terms of system design. I thought Metro was more spread out than MARTA was. I was just trying see the differences in the two. There is also the issue that DC had access to vast amounts of Federal $$$$. While our suburban Counties were allowed to vote themselves out of the MARTA system, in suburban VA & MD the Feds basically said: "It's coming whether you like it or not. Now, why don't you tell us where you would prefer the lines go?" If ONLY we had been that fortunate! I consider the existing MARTA to be the backbone of what will eventually be a much larger system. Yeah it's just too bad that people in the outer suburbs here in Atlanta could vote against MARTA for the wrong reasons(crime, minorities, etc.). Rejecting the system didn't help deter those elements because most of the crime is outside the MARTA line(Clayton, Gwinnett). I bet the DC suburbs in MD and VA were happy that Metro was coming and they probably wouldn't have brought it down if they got to vote. I don't think that MARTA will grow out any further than it is now, that is, unless Gwinnett can come to reality and face the facts that there are already minorities and crime in their county, more so than Fulton and Dekalb combined. Other than that, with the exception of the Beltline, I really don't see any more rail expansion in the near future. I agree john. MARTA is starting to gain more support. You're starting to see Cobb and Gwinett willing to work with MARTA in small ways. This will ultimately lead to a greater MARTA. The suburban counties that are now completely urban are eventually going to want MARTA to go there. Its just a matter of time at this point. I've always been fascinated by the comparison of MARTA to the Metro as both are about the same age and both were experiments in building urban rail transit in the 70s using newer technology than what had existed up to that point. (BART would have been the other example) From what I understand these were the first new heavy rail systems to have been build in the USA in decades as the country at that point was quickly forsaking this type of transit for loop highways and the automobile. I have not ridden on MARTA in more than 15 years so I can't comment on where it stands these days, but I will say the Metro is no doubt responsible for the transformation of DC into a modern city that competes well on the world stage from a transit perspective. A rare thing for the USA. In addition, in the places where it extends to the suburbs there are massive new mixed use developments springing up around the stations. If anything the system's biggest problem is its success. Ridership continues to stress the system and it could absorb a lot more investment to add capacity. It should be noted that after MARTA, the Metro, and BART were built, the only other new heavy rail systems started in the USA in the succeeding 3 decades were the Miami Metro and the Los Angeles Red Line. Both projects were hugely expensive, and suffer from really low ridership. Atlanta is very lucky to have MARTA. Another difference is that the District is an enormous employment and residential center, whereas downtown Atlanta only accounts for about 5-10% of metro area jobs. Most of Atlanta's jobs have moved to Buckhead, Midtown, Perimeter and points beyond. There's a distinctly urban appearance and energy surrounding many of the intown Metro stations. By contrast, the "heart" of MARTA is the Five Points station, and while I dearly love our old downtown, you are hardly presented with a glittering urban environment when you step off the train there. Those of us who live here are comfortable with intown stations to the east, south and west of Five Points, but to the visitor they probably seem pretty daunting. I think the key differences is - how both METRO & MARTA have evolved. Both were built on the concept that in reality - they would operate like commuter rail. With only key central stations for commuting & for cultural purposes, the systems would rely heavily on suburban commuters. Therefore the 1+ mile distances between stations with plentiful parking spaces - as is also the case with BART. What has made METRO different though - is that the system has been reenginieering the system to be a urban subway system, by building infill stations (as MARTA is FINALLY looking into). As MARTA is still heavily dependant on suburban commuters while generally ignoring it's urban commuter base, METRO has succeeded to do both. While Atlanta still remains a typical sunbelt auto-centric city, Washington DC has far more in common with it's northeastern brethren - having a huge transit ridership rate. I hope MARTA follows METRO's leadership - of course expanding to cover suburban riders is important. But to become a truly useful transit system, provide more urban transit alternatives (just like the Beltline) as Washington provides more alternatives than 'Suburb A' to 'Downtown B'. Brad, I agree. In my opinion MARTA would be best served by focusing on its historic core constituency, which is primarily the area inside I-285. The suburban areas have rejected it for decades (or several reasons), and their population and job centers are too diffuse to support heavy rail. In terms of expansion, MARTA should focus on enhancing its existing intown network. A few infill stations, especially along the east and north lines, and linkages with light rail/BRT systems such as the Beltline and the Peachtree streetcar could transform it into a truly usable urban system. I think it would be a mistake to worry about sending isolated lines further out into the suburbs at this point. If the system is developed within the core city, and can demonstrate that it is a clean, safe, efficient and accesible way of moving people around, then the suburbs will want it, too, as they continue to urbanize and become more dense. I mostly think focusing on the suburban commuter will turn into failure b/c there is no longer a traditional commuting pattern. Especially in Atlanta. Someone in Roswell will be just as likely to drive to Perimeter (which is a potential MARTA route) as to drive to Norcross or Alpharetta to work as driving to Atlanta. The difficulty of providing mass transit solutions to the suburbs I believe, quite frankly - is impossible. The only viable solution to provide a real transit system for the suburbs has not been discovered yet, unless it is BRT. Though I don't know the particulars of the area, building HRT is hugely expensive and i would guess these days, unless there are huge ridership projections to support it, that it will be almost impossible to get any federal funding to support the construction. Why not heavy rail or light rail? I heard that they were thinking about expanding the North line up to Windward Parkway. The study has already been done. I wanna know when they are going to start on the project? I bet the people in Cobb, Gwinnett, and Clayton are regreting that they voted against MARTA once in 1971 and twice for Gwinnett(in 1990, of course!). They really, really missed out on what could have been a somewhat massive transit system(HRT to be exact.). Now that HRT isn't the way to go anymore, they might as well go for the BRT or light rail. I don't think so......they both sprawl an unGodly amount. The suburbs of DC have reached West Virginia now. The only thing those arial views show is that Atlanta has a VAST amount of warehouses and distrubution centers - something DC has hardly any of. 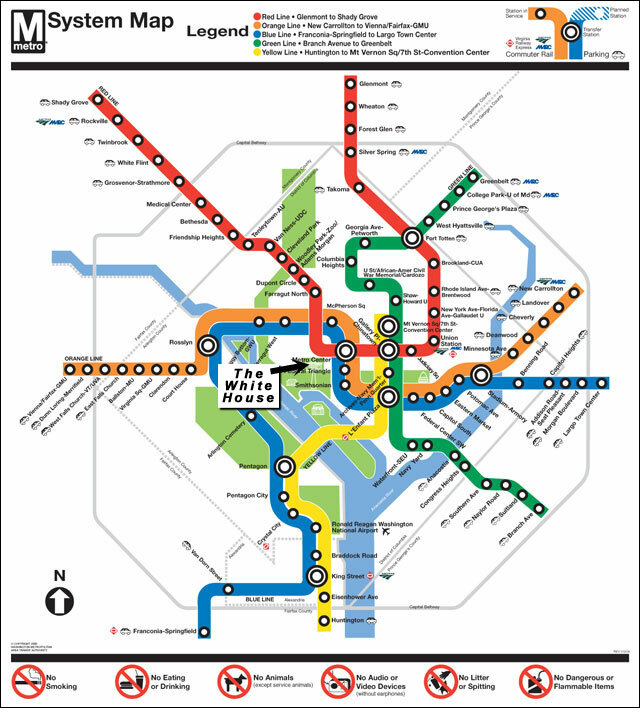 Its obvious that DC's transit system has played a vital role in its development. You see vibrant urban centers around all of its metro stations. Not only that, you see super wide sidewalks (sometimes wider than the streets!) to support pedestrians. You see all development as transit/pedestrian oriented. Cars are there, but they are not accomodated as much as they are in Atlanta. Part of this is likely related to the height restrictions in place in Washington which forces the denstiy to spread out more evenly. There isn't anything over 10 sotries really. But in Atlanta its all New York skyscrapers but without the transit to support it (like NYC's). You are starting to see cool urban spaces develop around transit stops, but its more in the form of TOD that isn't really what it should be. Washington's sprawl is probably just as bad as Atlanta's, but the difference, like tesh said, is that the core area is huge and well developed with mixed uses and urban centers. You can't really describe the main business district in DC, but in Atlanta you can easily name and define the big 3 or 4. I heard that Metro was building a so-called "Silver" line going from Federal Center to Route 772 in Londoun County, Virginia, but I know that's true because I did some research on some websites. Also, I heard that they were proposing a Purple light rail line going somewhere from the city to Chevy Chase. When will they start construction on this "Purple" line? David, post the question in the Washington DC or Virginia forum.